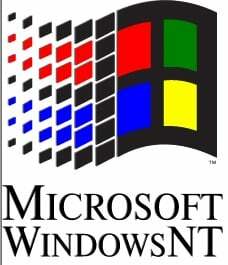 Microsoft’s Windows NT turned 20 years old on 27 July 2013. Microsoft Windows NT was the first powerful high level language based processor-independent, multiprocessing and multiuser 32-bit operating system. All other operating systems such as, Windows 2000, Windows XP, Windows Server 2003, Windows Vista, Windows Home Server, Windows Server 2008, Windows 7, Windows Server 2008 R2, Windows 8, Windows Phone 8, Windows RT and Windows Server 2012 were members of the Windows NT family. The main design goal of NT was hardware and software portability. Various versions of NT family operating systems were released based on this notion. NT supported rich set of security permissions that can be applied to systems and services. NT supported Windows network protocols, inheriting the previous OS/2 LAN Manager networking, as well as TCP/IP networking (for which Microsoft would implement a TCP/IP stack derived at first from a STREAMS-based stack from Spider Systems. The first version launched by Windows NT was 3.1. Windows NT 3.1 utilized 32-bit “flat” virtual memory addressing on 32-bit processors. It featured a core kernel that provide a system API, running in supervisor mode (ring 0 in x86; referred to in Windows NT as “kernel mode” on all platforms), and a set of user-space environments. In Windows NT 3.x, several I/O driver subsystems, were user-mode subsystems. However, in Windows NT 4, these I/O driver subsystems were moved into kernel mode. Windows NT’s first GUI was strongly influenced by (and programmatically compatible with) that from Windows 3.1. Windows NT 4’s interface was redesigned to match the brand new Windows 95 design. Windows NT had introduced its own driver model. Windows NT driver model was the first model introduced with Windows 98, an enhanced version of this model called Windows Driver Model comes with Windows 2000. All these years Microsoft has put forward an great experience and competitiveness in the field of computing, it will stay for long. Here we salute the Microsoft team for their great efforts.